Every Calvin and Hobbes strip, beginning to end. It's the likability of Peanuts with the humor of Dennis the Menace. I'll never know how Bill Watterson came up with so many unique strips using only four characters -- one of which is imaginary (or is he?). Peanuts added and dropped new faces all the time and Dennis the Menace was only one panel. When I was younger, I got my fix of C & H collections in the library, but reading them in chronological order, you can see the scatters and misfires in the beginning, the peaks in the middle, and the shopworn gags in the end. 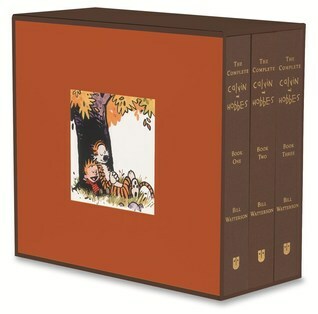 At this point in time, you either know Calvin and Hobbes or you don't, so I shouldn't need to provide a recommendation. It's expensive, but a piece of Americana is worth it. Just don't let your kid take the crayons to it. Cute little memoir, in the same vein as Yes, Please by Amy Poehler. Many of my complaints are the same -- not enough of the personal life, not enough of the SNL life. Some of the writing style is the same, when it morphs into a fake interview or letter to herself. 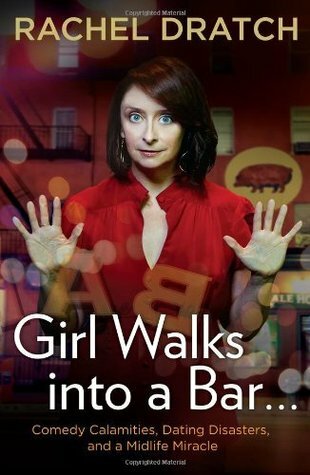 Don't get me wrong, I love Rachel Dratch. I loved her on SNL and was very sad when she left. It covers material much like Amy Poehler's book does -- the years on SNL, how certain sketches came to light, early years in improv, gushing over fellow actors. But it divides when she leaves SNL and talks about why she doesn't act anymore. But now we have the unique experience of the NY dating scene mid-career, finding a relationship, and then the anxiety of having a baby when older and unmarried. The subtitle is definitely there for a purpose -- clarifying what the book is about. If you liked Yes, Please, you'll like this. At first I thought I wouldn't make it through this book. Right off the bat, we start with entitled rich people. I mean really rich. Like, they own their own island off the coast of New England. The grandparents and their three daughters' families (including grandchildren, whom the story's about) all own houses on the island and spend their summers there. That alone might have caused me to put the book down. Because rich people aren't like real people. There is no problem they have that they can't throw money at and solve. It's the same reason I can't get into The Great Gatsby or Jane Austen. Problems like "my family is deep in debt so I gotta marry someone with money, but they're all jerks or my aunts are jerks or trying to get the family fortune" and so on. Hard to care when you you know people whose kids can't breathe. These people don't even know the names of their "help". Jeez, even Billy Madison wasn't that much of a jerk. My point is, don't let the setting turn you off, because for some reason I got deep into it. I wasn't that impressed with Lockhart's Fly on the Wall, but this one has such a strong voice of the main character. For some reason you care about her well-being even if she goes to Europe for the summer with her Dad. I got 45% through within 12 hours. I don't know why, maybe it's the easy reading -- the short "Dan Brown" chapters keep the book a long summary of events than a novel. There are no real scenes, and it's full of simple sentences but with good word choice. A little teen angsty, but poetic. Super poetic. 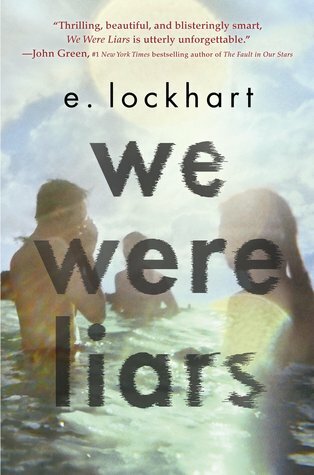 The title "We Were Liars" makes it sound like some drama/mystery/thriller full of scandals and betrayal like "Pretty Little Liars". And the size gives it earmarks of a beach read. But it's not. It's about growing up, becoming mature, and seeing your family for what it really is. It's months later and I'm still trying to put my finger on why I like it so much. Maybe the fairy tale elements? (A princess, a castle, a king, the rule of three.) Little people against the world? Kids with hearts in the right place versus adults with money and "pure-bloodedness" on their mind? 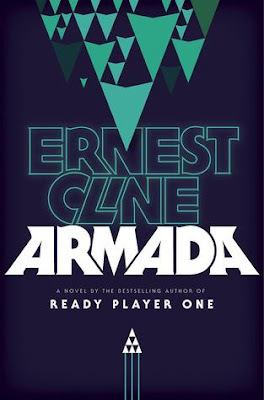 All I know is there's a reason this book is a "best of year". Better than Fragile Things and approaching Smoke and Mirrors in terms of quality/likability. 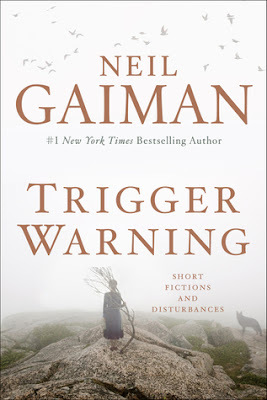 Most of the short stories are high fantasy, and I was surprised how many I'd already read (like Samsung's A Calendar of Tales that appeared on Twitter and Click-Clack the Rattlebag). I always find it hard to review anthologies because it's never a single vision over a long term. Either it's many visions from one imagineer, or many visions under one theme. It's too divisive to give a yay or nay. Like all anthologies, there are hits and misses. It's worth reading if you're a Neil Gaiman fan. But not if you don't like short stories. You know one thing you never see in YA -- kids in prison. Well, he's not really in juvey, but an "camp for troubled teens". 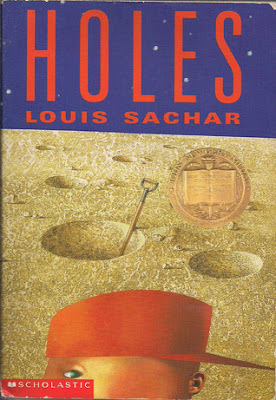 Which is not so much a camp as slave labor -- also not often seen in YA. How he gets sent to this obviously corrupt and unaccredited alternative to jail, I don't know. That's the biggest implausibility, but if you get past that, it's a compelling story. And that's because the author is doing things you don't see in YA -- living among criminals, manipulation by adults, ambiguity on who to trust, sins of the father -- along with humor like stinky shoes and onion eating. Heavy stuff for a kid's book. But I know kids can take that stuff, so I like it. It's not just one story, it's a couple stories, but they all come together. All the set pieces, motifs, characters meet each other in a dynamic way -- part Western, part prison story, part funny YA book -- so you're getting a meal with flavorful and different side dishes. Each is different but they all complement each other in ways you didn't expect. Like Orange is the New Black for kids. A dull and disappointing follow-up to Ready Player One. I realize the biggest draw-in for his first novel was pure nostalgia. It was a giant mish-mash of things from the eighties. The author plays with elements the way a kid plays with toys (you play arcade games against a D & D lich). But it was essential to the plot. The pieces of the puzzle. Man questing, gaining friends and enemies on the way, while the stakes raise. Again, this one involves the eighties, but as a crutch. The nostalgia plays no part in the story, it just becomes a "hey, I remember that" and goes nowhere (like "Pixels"). The main character's supposed to be obsessed with the eighties because his dad disappeared then. Even with that, there is no reason for a teenager from 2015 to drive a 1989 Dodge Omni while listening to Rush and ZZ Top cassettes. The plot is ridiculous too. This kid is obsessed with a "Wing Commander"-like space shooter MMO game, and then it turns out the game is real. Just like The Last Starfighter. The game was a way to train fighters. Just like The Last Starfighter. I was hoping it would take a different turn plot-wise, but it really doesn't. The spaceship whisks him off from all his problems. He's an ace pilot. He finds his missing dad, who turns out to be the flight commander and was right about everything. They fight back the aliens, and he becomes a hero, playing video games the rest of his life. The obstacles are easily overcome and there's little tension. I half-expected the story to be a psychotic break, and he was in a mental hospital the whole time, imagining this. He was about to take a tire iron to a guy in the school parking lot before this recruiting spaceship appears, so it would make sense. And it would explain why everything happens so easy for him. It's whizbang action and little characterization and a one-dimensional plot. I do not recommend it. Well, the annotations aren't as comprehensive as I would have liked. But I guess it's better to leave analysis to the professors and just give facts. Most of the annotations explain the poetry that Carroll's parodying, which is nice. They're all verse that would be common in Carroll's day, but have become antiquated since (except for one or two). 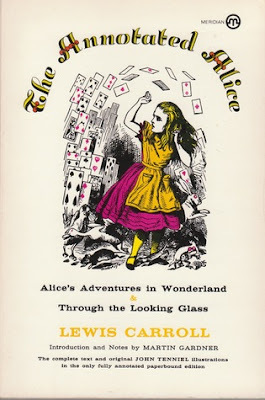 Others illustrate the history (like relations to the real Alice) and the logic jokes he probably thought were hilarious (like how Through the Looking-Glass follows real chess moves). Otherwise, all the illustrations and text are here. So it's nice to read it again, this time with a better understanding. It even includes the official definitions for the words in Jabberwocky. Wondrous! Magnificent! Funny! Hilarious! Stupendous! 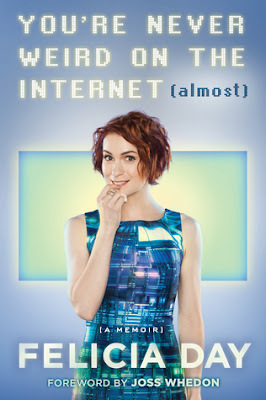 After reading this, I wanted to write a fan letter to Felicia Day, thanking her for writing the book. I wanted to give this book to my wife, even though she wouldn't understand any of it, just because I wanted to show her how strong and delightful and personable she is. This is a role model for my kids. You never realized how amazing she is as a person. Going from a lazy homeschool life to prodigy violinist to college degree. And then a Hollywood actress for no damn reason whatsoever. But it's not without drama. She's had to fight Internet addiction, low budget film-making, and the Gamergaters. She's pretty much the pioneer for the message she's spreading -- embrace your weird. After reading it, I felt motivated to create things like her. To not listen to the humilitous voice that says "aw, gee, that's not good, I'm not a professional." I want to be her and not her at the same time. This is a MUST READ. I've been thinking about how to judge this book. It has a concrete narrative storyline from beginning to end, but it's presented as "Four Tales of the Colonial Union". Each has a different main character and a different story-telling style. The lack of a single main character, the disconnections between novellas, mean it's hard to establish empathy to anyone. It reminded me of Fuzzy Nation. But where that had scads of humor, a single main character hero, and whiz-bang courtroom drama, this is just space politics. And everyone who knows me knows I DON'T like me some politicians. 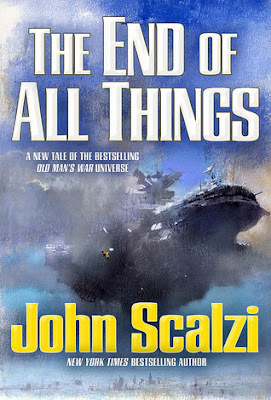 It felt like Scalzi was continuing the story out of contractual obligation. Not my favorite of his. In fact, it's on the lower fiftieth percentile of his works. A cute little YA book. 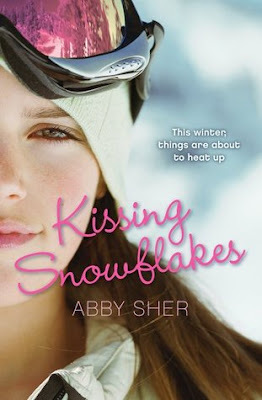 Thankfully, it's the last of the skiing romances I downloaded (others included Heartbreak Hotel, Crave: New Adult Sports Romance (The Boys of Winter #1)) And I was actually able to finish this one. But it's still terribly predictable and cheesy. Yeah, I'm not the target demographic, but surely you can do better than this. The characters are stereotypes with questionable motivations and plausibility. There isn't a sense of setting -- no one does much skiing. And the end romance seems doomed anyway. There are better selections out there.